You can see him refusing any support from me – he wanted to do it all himself – and grinning at his new skill. Just seconds after this photo was taken, he demanded to be let back down to the ground, and proceeded to walk the rest of the way home, grinning. When we reached home, he complained at being taken indoors. Nevertheless, he was tired. Forty minutes later, he was asleep, and slept 11 hours. OK, back to food. 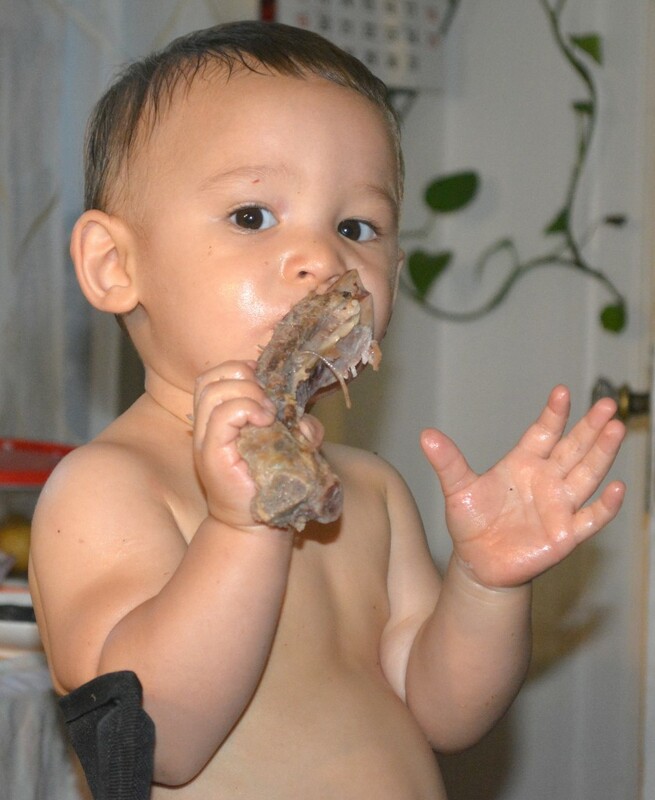 When Luke was age 6 months or so, we introduced him to solid food through this recipe. It is essentially a PHD meal suitable for infants, puréed with a blender. As is suitable for a baby, the “baby meal” has less protein and more carbs and fat than would an adult meal. He also loves the baby food by itself. When we make it, we give him the mixing bowl and spoon, and he finishes everything eagerly (making a mess along the way). One note on ingredients. We recommend here that the meat be a mix of beef liver, oysters, salmon, and scallops.However, there’s no need to obtain all of these ingredients for every batch. It is fine to make a batch with one, then the next with another, then the next week with a third. Just balance the proportions over time. Instead of 5 g of each every week, get 20 g of each in over 4 weeks, in whatever fashion is most convenient for you. A note on allergy risk: There have been some concerns that early introduction of shellfish could pose a heightened risk of allergy. The issue is discussed here. However, evidence has been piling in pointing the other way — that earlier introduction of potentially allergenic foods reduces the risk of allergy. More evidence. Since 2008, earlier introduction of allergenic solid foods has been the recommendation of the American Academy of Pediatrics. Current recommendations can be found here. Nutritionally, this mix is not perfect, but it’s impossible to make a perfect baby food using natural whole foods. For example, breast milk has a higher zinc content than any natural whole food. Therefore, mixing in a few supplements, such as zinc and vitamin K and pantothenic acid, is a reasonable tactic. Note: The recipe for PHD Baby Food will be posted Monday. Soon after my return I was interviewed by Tony Federico of Paleo Magazine Radio, to discuss the globalization of Paleo and especially the growing interest in Europe. 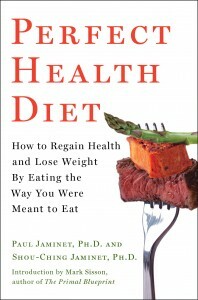 Our interview is now live: Paleo Going Global with Paul Jaminet – PMR #93. Tony and I briefly discussed the Perfect Health Retreat. The October retreat (October 10-17) is almost sold out, so if you are interested in coming please contact us quickly. We’ve also scheduled next May’s retreat for April 30 to May 7, and are now accepting reservations. There will be a small price increase starting with the May 2016 retreat, but any reservations received by December 31 will receive 2015 prices. To learn about the retreat, visit the web pages under the Perfect Health Retreat tab, starting here. To reserve a room or for more information, please contact Paul Jaminet at paul@perfecthealthretreat.com. Paul Jaminet, we know you’re so very busy with work and family but if you have a moment, we’d love a photo update of your sweet boy (or the whole family!) 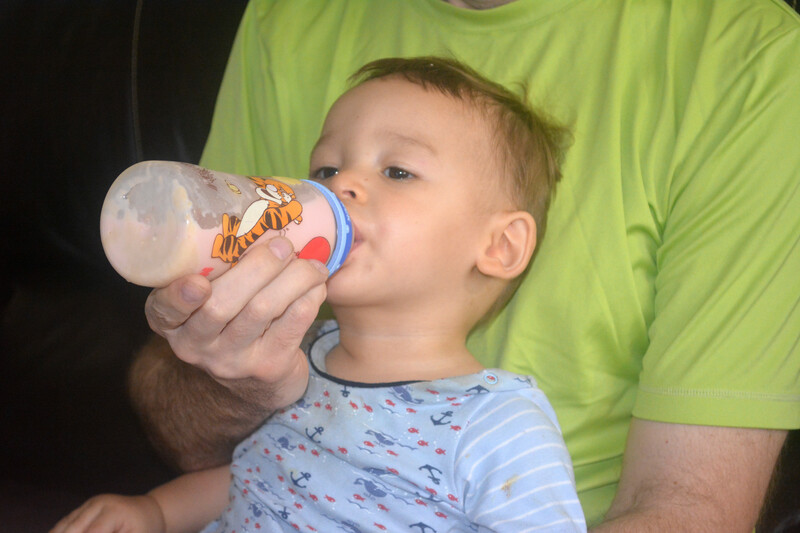 and an update about how things are going generally; how long it took for him to get have more organized circadian rhythyms; how and when he took to solids; what he’s eating now. If there’s anything else you’d like to share about your parenting journey, we’d love to hear that too. That’s a lot of ground to cover. Here’s a little photo and video update, and a recipe for PHD baby food. 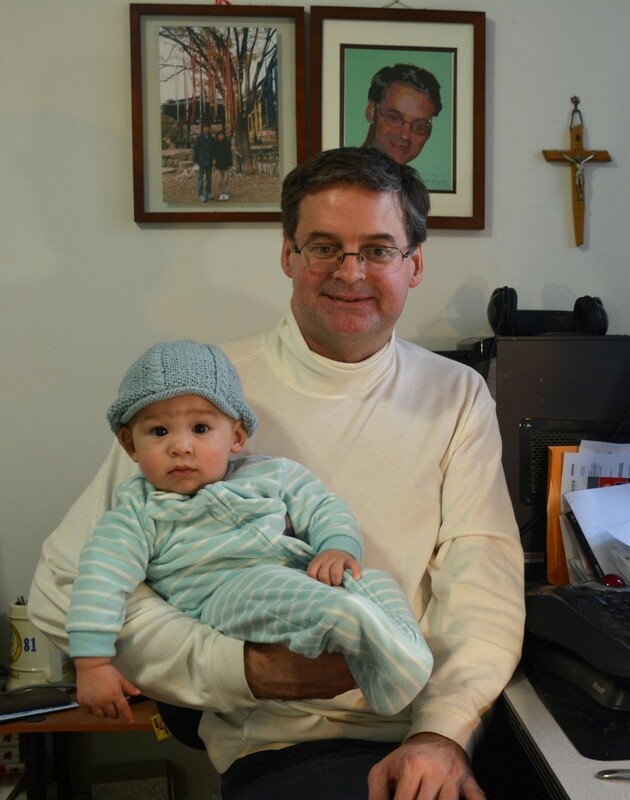 The hat was knitted by a guest at our October 2014 Perfect Health Retreat. (Thank you Deidre!). We’ve had no problems here. He’s always slept very well and kept a regular schedule. When he was very young, he had a clear 4 hour cycle. At night he would sleep 3.5 hours, feed for half an hour, and go immediately back to sleep for another 3.5 hours. In the day he would be awake 3 hours and sleep 1 hour. For some time now he’s been on a two-nap schedule. He sleeps at night from about 9:30 pm to 6:30 am. Sometimes he sleeps through the night, sometimes he gets up to feed once. In the day, he naps from about 10:30 am to 11:30 am and from 4 pm to 5 pm. He generally goes outdoors to play for an hour before each nap, then comes home, feeds, and falls asleep. We didn’t do anything special except keep him on our own rhythms — including 12 hours of orange-red light at night and 12 hours of bright natural light in the day — and take him outdoors for 2 hours of sun, people watching, and activity each day, one hour in the morning and one in the afternoon. Luke’s night waking seems to be driven almost entirely by hunger. A large feeding before bedtime, or better yet a meal rich in carbohydrate and glycine (from collagen), helps his sleep. We give him a soup with rice, fruit, and bone-and-joint stock before bed, flavored with a bit of coconut milk or egg yolks, vinegar, and drop of fish sauce. Most other parents strike me as fearful of nature. Children are bundled up and shielded from the sun. 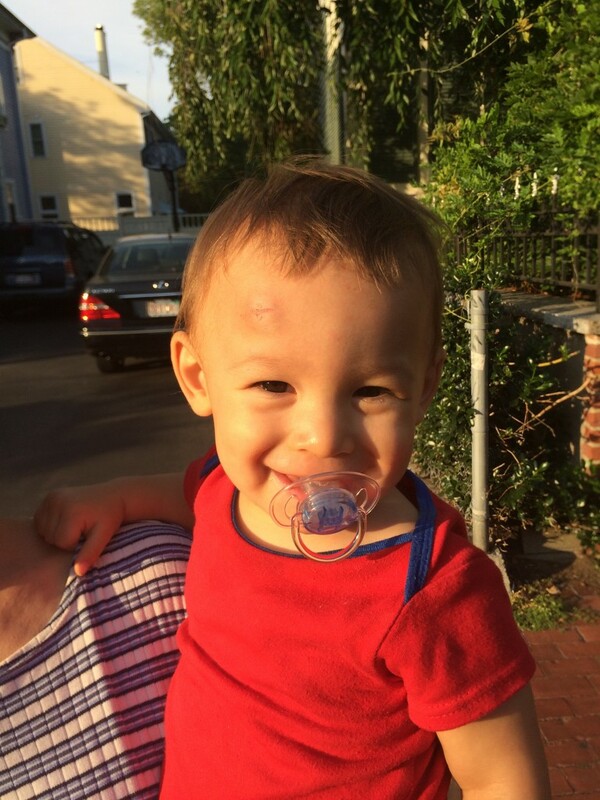 We would take Luke out in a diaper and onesie, so he would get sun on arms and legs, carry him to get exercise ourselves, and let him crawl barefoot; the other babies would have layers of clothing, hats, and shoes, and be pushed in strollers with sunshields for further protection. In this aspect, we are much more ancestral in our parenting. To make up for the missing milk oligosaccharides, a form of fiber that is fermented by gut bacteria to produce short-chain fatty acids, we added a bit of vinegar to Luke’s formula. To make up for the missing nucleotides, we added a drop of fish sauce. To make up for missing cholesterol and other lipids, we added some egg yolk. We tries to minimize egg protein in his food by puncturing the yolk sac and draining the insides into the milk, rather than adding the whole yolk to the milk. At age 5 months or so, we introduced solid food in the form of chicken rice congee, but within a few weeks we developed a recipe that will be given in a followup post. We made up a PHD meal suitable for infants, pureed it with a blender, and mixed it into his milk. He soon came to love this “PHD milk” and started to refuse plain formula. 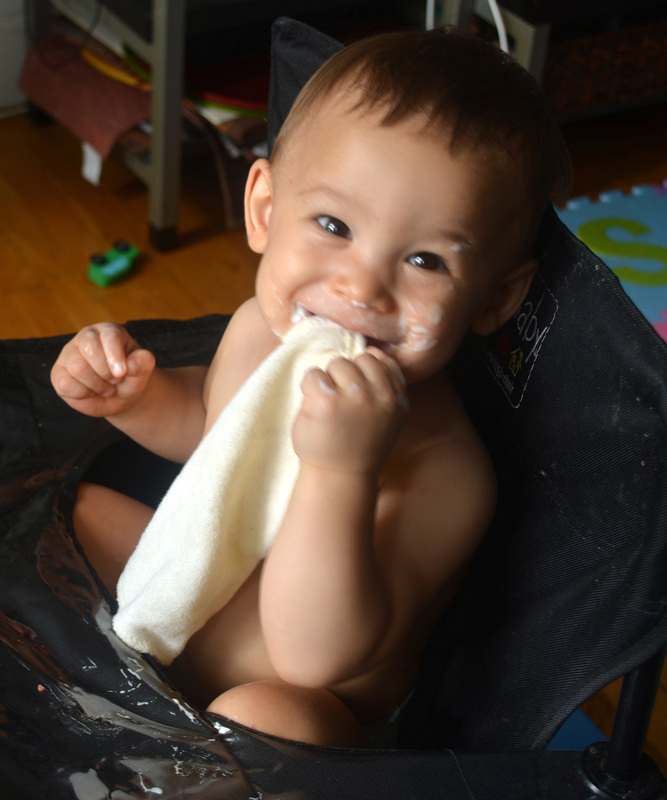 Luke has never had cheerios, rice puffs, or any of the other processed foods that pediatricians recommend. He eats our food or his “PHD milk”. White rice is our equivalent of cheerios. At about age 6 months, we started sharing our food with him as we ate. Feeding him this way is a little slow and when he gets really hungry, “PHD milk” is always the best option. We introduced new foods gradually, out of concern that he might react badly to something. 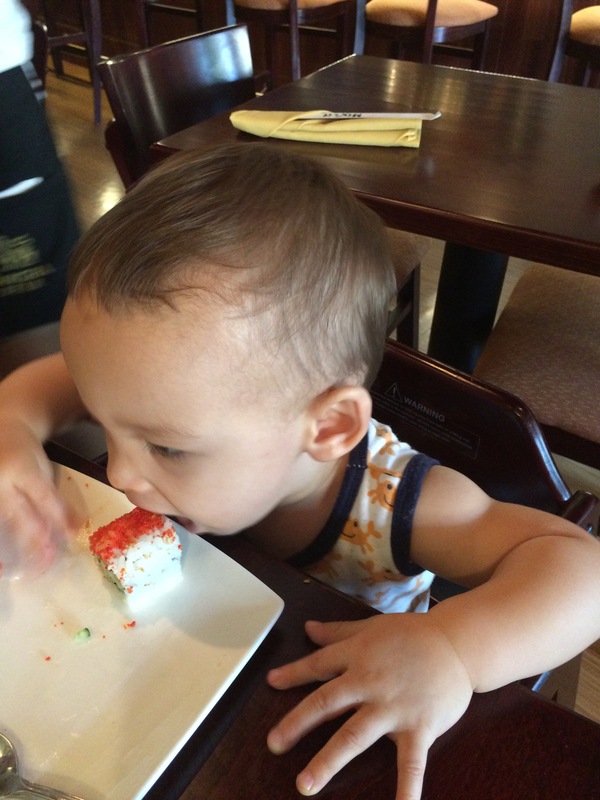 For example, he tried avocado for the first time at his 7 month birthday. But so far, Luke has enjoyed every food we have given him, and there has been no sign of any sensitivity or adverse reaction. He loves chocolate – so much so that for a while he would root in the trash for old chocolate wrappers in the hope of finding chocolate inside – and is not very interested in cucumber, but has never refused to eat any food. 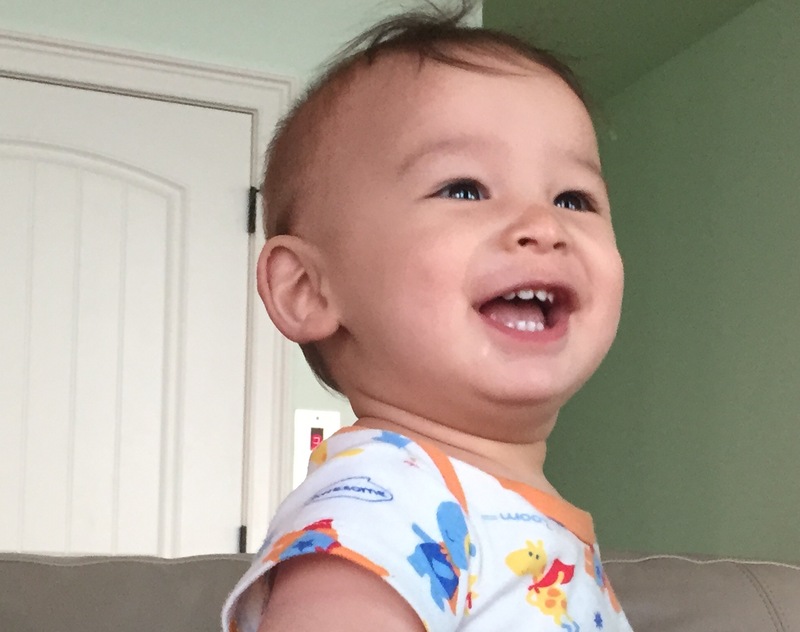 His favorite everyday food is Daddy’s lunch, typically rice, meat, and vegetables drenched in egg yolks, coconut milk, vinegar, and fish sauce. After every meal, we give him fruit for dessert. 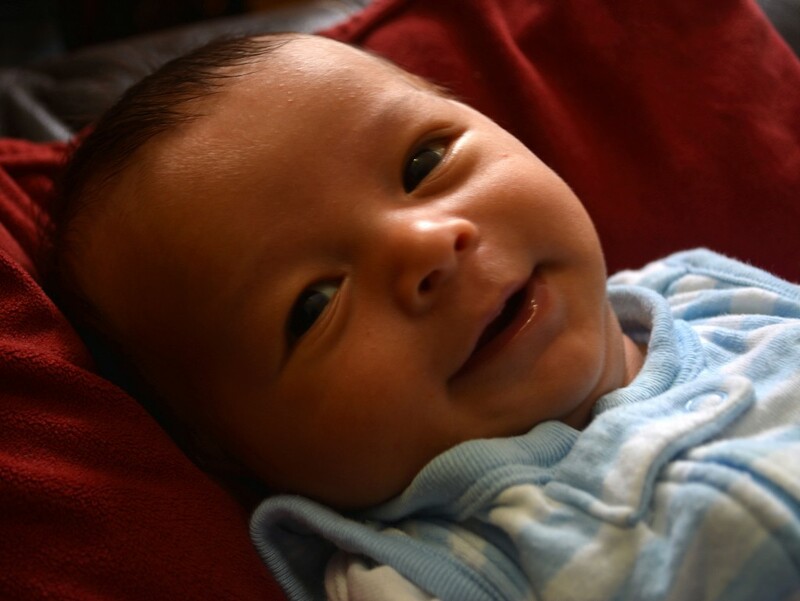 When he was just beginning to eat solid food on his own, I had a surprise. 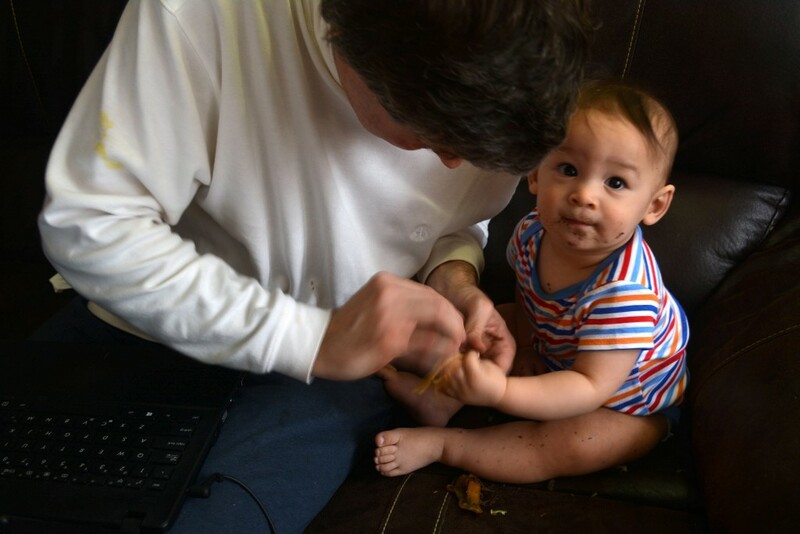 Sitting on the sofa working on my laptop, I gave him a banana to play with. He became very quiet and I didn’t pay attention to him for about ten minutes. Then I looked over. The whole banana was gone, but for a few shards of the peel, and Luke had brown banana peel fragments smeared over his face and clothes. He had eaten the whole banana, peel and all! He looked at me a little nervously, as if fearful he had done something wrong, then gave me a big smile. That was in April, at age 7½ months. Coming up next: our recipe for “PHD milk”. This is still the dominant food in Luke’s diet. If this was simply a seaside vacation it would be well worth the price, but it also gives you the ability to become healthy again, no matter how severe your health problems, or how long you have been suffering from them. That is priceless. There is a saying that “not all doctors are healers, and not all healers are doctors.” I think anyone who has been on this retreat will agree that our friend Paul is a healer in the true sense. It is going to be difficult for me to go home to my situation and do everything I now know I need to do to get healthy again, but I am going to do it. Sadly it turned out I was only able to do the diet off and on since coming home. My main difficulty has been in generating the extra effort it takes to care for myself while also being the caregiver for my grandfather, who has dementia and terminal cancer. Recently my mom and I have been trying very hard again at the diet part of it, and have been successful for a full month now. When we are able to maintain the diet, we do notice a great improvement in mental fog, and we visibly lose inflammation in our faces (and in Mom’s ankles). 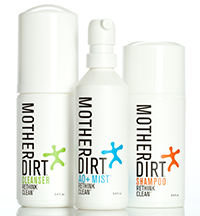 My skin also clears up on PHD, and my mom has less digestive trouble, which I think is a sign that it could help cure her GERD over time. I am really happy with my brain function right now, I feel like my ADD symptoms are vastly improved, and I am dealing with stress much better lately. Remember the awful sciatic pain I had during the retreat? That pain is gone after doing PHD this past month. That is motivation to keep going for sure! I have not lost weight yet, which is my own fault, but the longer I can keep doing PHD, the better my quality of life becomes, which is equally important. Thank you, Melanie. I believe weight loss generally follows upon health improvements, so I suspect you’ll be losing weight soon. 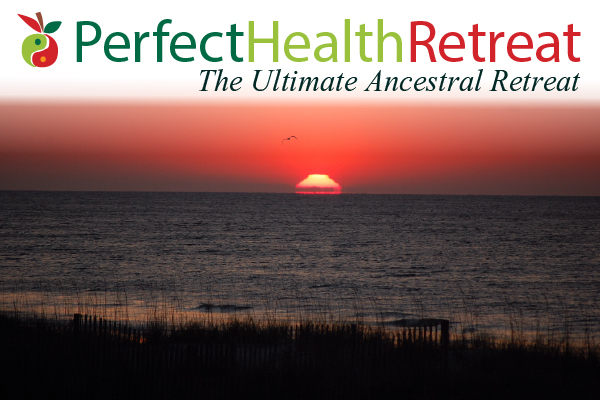 We are taking reservations now for the next Perfect Health Retreat to be held October 10-17, 2015; and for the following retreat, April 30-May 7, 2016. Don’t miss this opportunity for a luxurious vacation combined with a week of learning that will pay a lifetime of dividends. To learn about the retreat, visit the various web pages under the Perfect Health Retreat tab, starting here. To reserve a room or for more information, please contact Paul Jaminet at paul@perfecthealthretreat.com or Whitney Ross Gray at whitney@perfecthealthretreat.com.